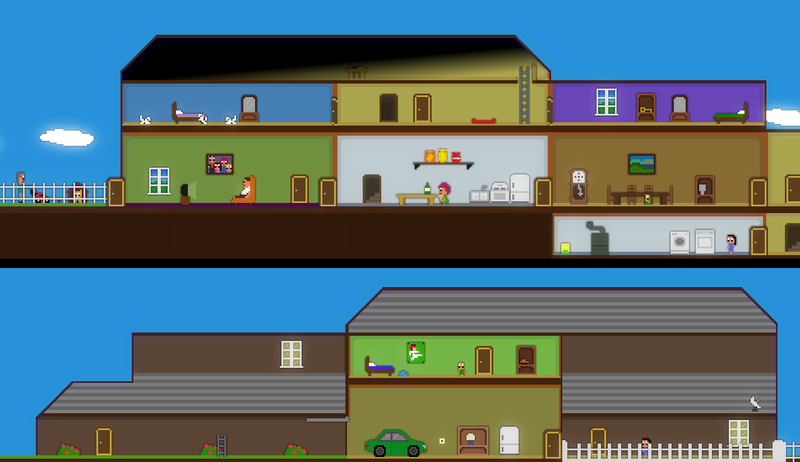 I'm getting close to completion on my little adventure game, "Quiet, Please!". Above is an overview shot of the current gameplay area. I'm aggressively trying to control the scope on this project - my goal is to keep development time under a month (time actually spent on it - not calendar time). So far, I'm in pretty good shape. The resulting game will, as a consequence, be fairly short. Hopefully it will still be enough to convince people to part with one of their precious dollars. We'll see. Little short but well worth the money!